Hair Grip Magic Clip Only $1.37 + FREE Shipping! You are here: Home / Great Deals / Amazon Deals / Hair Grip Magic Clip Only $1.37 + FREE Shipping! Easily keep your hair out of the way when you’re washing your face or applying makeup with this Hair Grip Magic Clip ! Grab this for just $1.37 + FREE shipping! This lightweight accessory has Velcro-like hooks that keep hair gently in place without grasping it firmly the way traditional hair accessories do. You will be amazed by how weightless this thin pad is – you can barely feel it on your head! Not only does it hold up your fringe without crimping or messing it up, it also allows you to keep your parting. 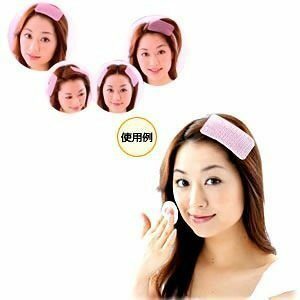 This sheet can be used to keep hair out of your face whenever you are washing your face, applying make-up or skincare. It is compact, lightweight and easy to carry around, thus makes this the perfect travel companion.